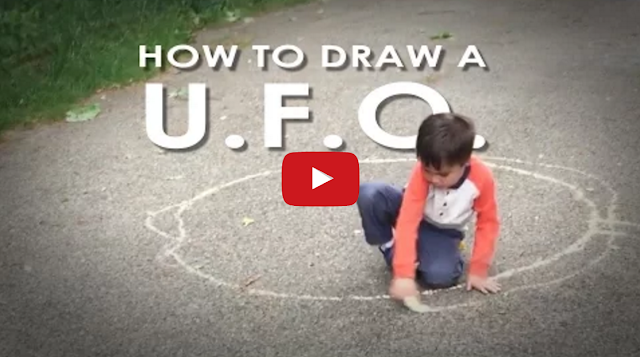 Tastefully Offensive: Action Movie Kid: How to Draw a U.F.O. Action Movie Kid: How to Draw a U.F.O. In the latest "Action Movie Kid" short by Dreamworks effects artist, Daniel Hashimoto, Daniel's 4-year-old son, James, (aka Action Movie Kid) demonstrates how to draw a U.F.O. with chalk.